Welcome to the best in Florida resort living! 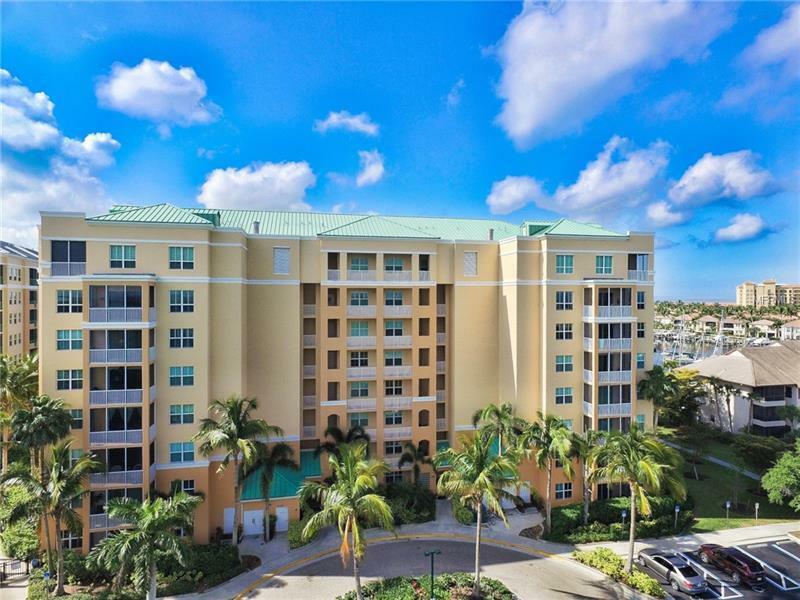 This is a move-in-ready, turnkey furnished 2 bedroom, 2 full bath end unit in beautiful Harbor Towers II at the gated community in Burnt Store Marina. Enjoy your morning coffee or a sunset glass of wine in your comfortable screened lanai. You are just steps away from the boat docks and walking paths of the marina North Basin, home to playful manatee and dolphins. Fresh paint, new wood-look flooring, granite counters and tropical furnishings highlight this pleasant ground-level condo. Harbor Towers offers a beautiful heated pool and hot tub, and an outdoor kitchen and grill. This is the largest deep-water marina on Floridaâs west coast, boasting waterfront dining, 27 holes of golf, a tennis and fitness center, a Yacht Club, and many walking and biking paths. Whether you are seeking a tropical home, or an investment for seasonal weekly or monthly rentals, be prepared to fall in love with our little slice of paradise! Amenities Additional Fees: Marina, golf course, tennis and fitness center.